The everyday humdrum and the ‘I don’t want to go to work today’ bouts in the morning never seem to end! If this is how your mornings begin, it is the perfect time to treat yourself to a vacation and head off to the pearl of the Andaman Sea, ‘Phuket’. 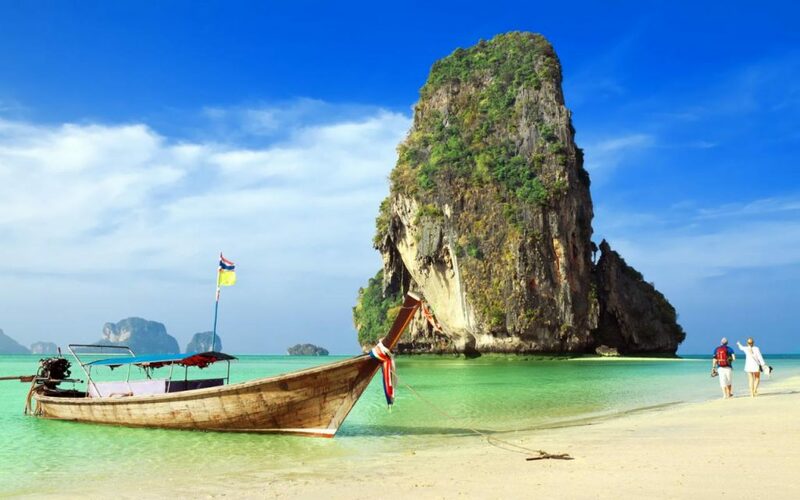 Plan your trip to Phuket with Thomas Cook. The beaches here are known for their white shores and the serene atmosphere. Once at the shores, the cool ocean breezes will soothe your skin while the gentle waters wash away your worries. Make sure you visit the Laem Ka Beach and Nai Thon beach to experience the places that have brought Phuket tourism to life. For those who love spicy food, Phuket is heaven. The traditional spicy Thai food with a range of spicy dishes will leave you longing for more. Make sure to ask the locals and try out some local fare like Tom Yum Goong. 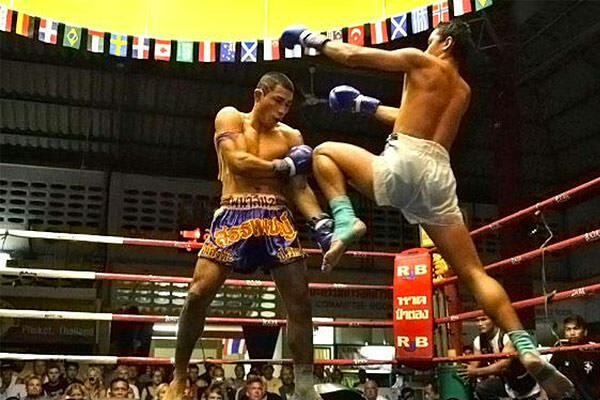 This will be your golden chance to witness the action packed sport of ‘Muai Thai’. While you may have caught a glimpse of it on TV, watching it in person is a blissful experience. What makes this sport fascinating is the rituals they perform before the fight begins. We bet you’ve never tried this before! 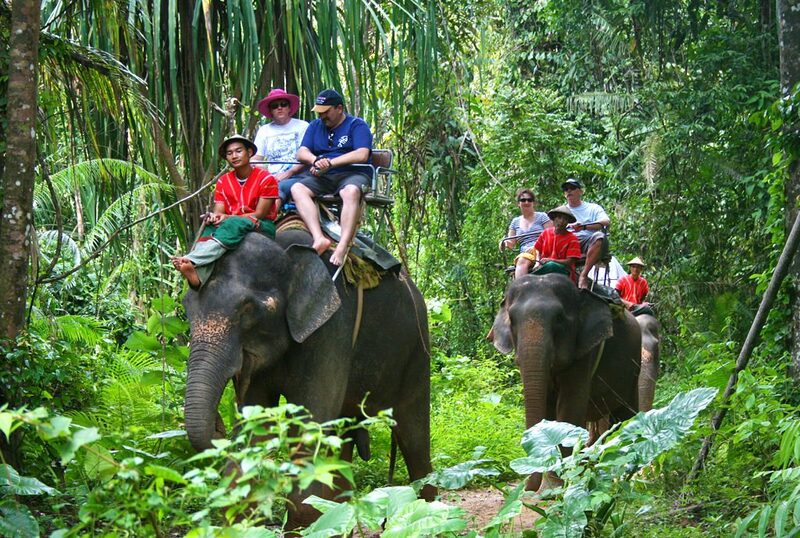 You can ride on an elephant through the forests of Phuket and go on a half day eco trail as your guide takes you through the paths less traveled. Needless to say, this will be an experience you won’t soon forget. 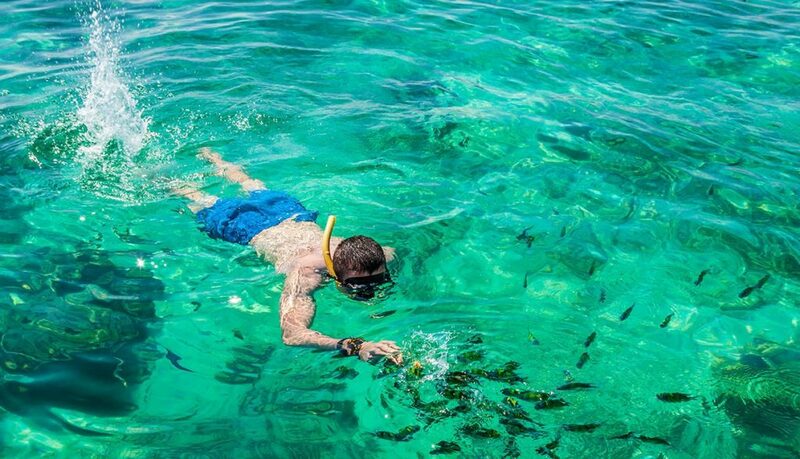 The waters surrounding Phuket are impeccable and wonderful for snorkeling, and are perfect for the first timers too. Don’t miss the boat trip to the coral islands or Similan islands to get an enchanting experience. There are many Phuket packages that include such water sports in their itinerary, so make sure you pick the right one. A must-experience for everyone above 18, Phuket’s Simon Cabaret attracts more than a thousand visitors every day. The glamour and uniqueness of the performance make it highly entertaining and worth a watch. But of course, none can do cabaret like the Thai! 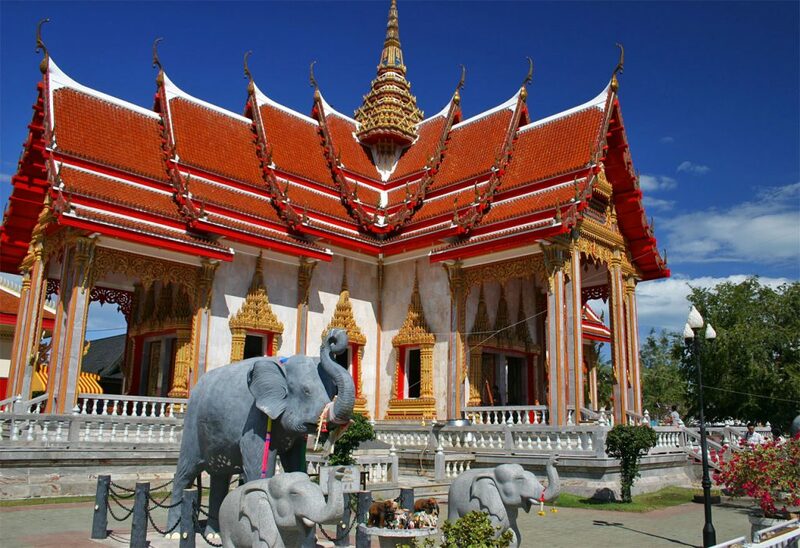 The temples of Phuket are known to be beautiful, mystical and artistic. Visit temples like Wat Chalong, Wat Parthong and Wat Suwan Khiri Ket to see the amazing architectural monuments. Pick a Phuket tour package that takes you to these enchanting temples, they are something you definitely don’t want to miss. ‘Party all night’ could be Patong’s tagline if it ever had one. One step into the city and the exhilarating nightlife will pull you in before you know it. In no time, you’ll find yourself letting go of your inhibitions and dancing the night away! One of the best and cheapest shopping places in the world today; you can get anything and everything here! If you intend to go shopping, make sure to go in empty handed, because you’ll definitely leave with more than you can handle. Mesmerizing views of the winding roads that spread across lush green hills and calm blue waters await you. This magical view will bring out the artist or the poet inside you and will make you want to live there forever. Don’t forget to take your scribbling pad along, because the view will definitely inspire you! Phuket is undoubtedly a beauty one can’t resist nor forget. The above list gives you just enough reasons to visit this paradise. What’s the wait for? Come on, get packing! Phuket, the land of sunshine, delicious food & happy people, here are 10 reasons that will make you want to go on a trip to Phuket.